Not to induce panic, but it's already October, and if you're in the market for a new coat but have yet to settle on one, now's the time to make a decision posthaste. Truth be told, many of the season's best are already selling out—especially this one type, the subject of today's post. Back in the balmy days of August, the UK's Telegraph was already recommending that shoppers start thinking about their winter outerwear. The publication turned to an expert when it comes to shopping, Net-a-Porter retail fashion director Lisa Aiken, to find out when the ideal time is to invest in a new coat. Aiken, in turn, also divulged the type of coat that always sells out first. She said, "It goes without saying that statement coats can sell out very quickly, so purchasing your coat before everyone else is essential. I like to buy mine in September to ensure I don't miss out. Our customer is thinking the same way, and sales are at their highest throughout September." So there you have it! 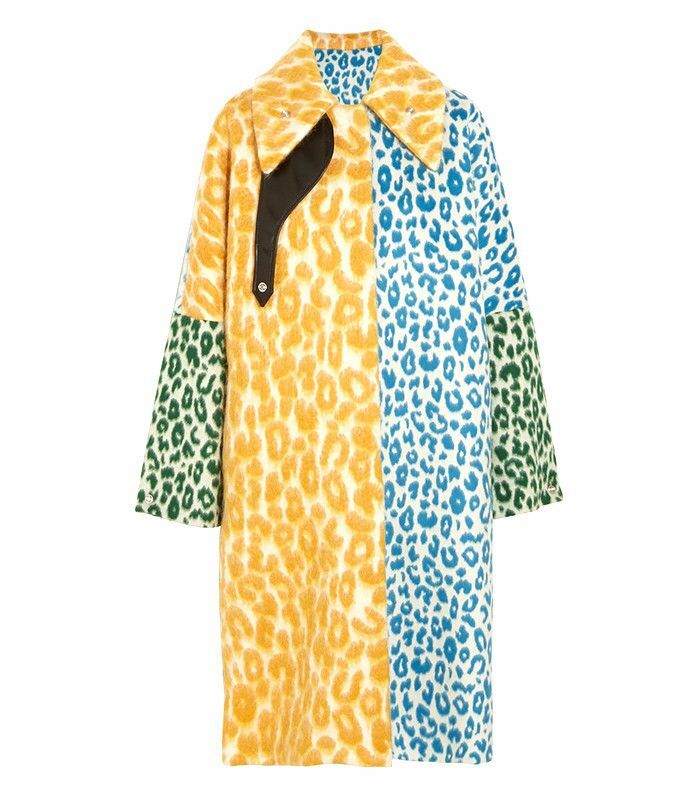 Statement coats are the first to sell out, which makes sense, as they feel special and are usually not similar to coats that shoppers already have in their wardrobes from years past. Not only that, retailers will often restock their more basic styles (i.e., camel peacoats) throughout the season, but statement coats are usually one-off and won't be replenished. Luckily even though September has come and gone, we found a slew of gorgeous statement coats that are still in stock (for now). Shop them all below! This makes all the other animal-print coats look boring. A modern take on '70s style. Every Gucci coat is a statement coat this season. This feels very rocker chic. Pink is having a moment right now, as is animal print. Jackpot. This has us wishing for cold weather. This coolest way to wear this elegant coat is with sneakers. We're ready to swap our boring black coats out for this one. This tinsel trench is selling out everywhere. A pastel coat in the winter always feels fresh, unexpected, and feminine. Zara does it again with this gorgeous embroidered number. A neutral-colored statement coat is always a safe bet. A furry coat with faces on it? Why not? Wear this with destroyed denim and moto boots to tone down the girliness. This reminds us of a cat, in the best possible way. While the color is not for the faint of heart, the tailoring is classic and wearable. Want more coats to choose from? Check out (and shop) fall's seven biggest outerwear trends.